In Part 2 of our European manufacturer run down, we take a look at a brilliant sports bike brand, a lesser known off road specialist, as well as a couple of other illustrious names. Derbi is another branch of the Piaggio tree but this manufacturer is Spanish rather than Italian. 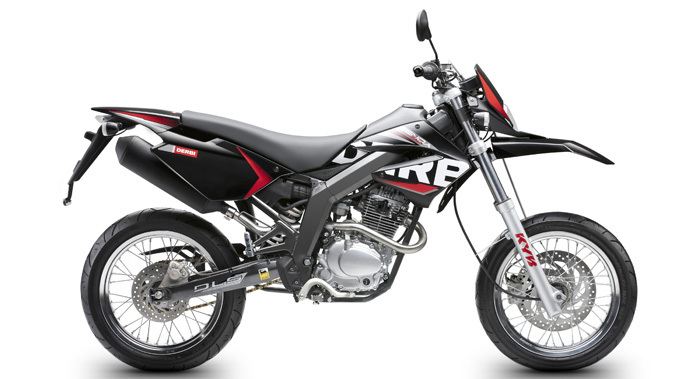 And the manufacturer has a wide range of models in its line-up, covering off-road, scooters and commuters but specialises in 125cc and under models. Despite that small capacity focus, Derbi has ventured into fully-fledged sports bike territory with the Mulhacen in 2006, however the Spanish manufacturer will always be synonymous with stunning 125s. Despite its small capacity engine focus, Derbi’s models do stand out from the crowd because, like Aprilia and Cagiva, its strength is looks and style as much as anything else. Ducati is one of the big boys in the motorbike world and arguably the most famous name in European motorbikes. The Italian manufacturer has been designing and building bikes since 1926 and in that time it has produced some of the best bikes in the world, as well as establishing itself as one of the leading lights in motorbike racing. With models like the Scrambler, the Panigale range and the Desmosedici off the back of its racing success, Ducati has a history of producing great bikes, however with a focus on high output models, it doesn’t taste anywhere near the same amount of sales as its Asian rivals. Regardless, Ducati is one of the most famous names in motorbikes. Husaberg is a name you might not be aware of but that’s because it’s a specialist manufacturer that focuses solely on enduro bikes. The manufacturer was first launched in Sweden in 1988 after Husqvarna’s takeover by Italian company, Cagiva, when a group of engineers decided not to go over to Italy and instead established their own company. There then followed a takeover by Austrian manufacturer, KTM, however that came to an end in 2013 when the two companies amalgamated to form Husqvarna motorcycles. Despite it no longer existing in its own right, the Swedish brand is still a major name in off-road racing thanks to multiple world champions. 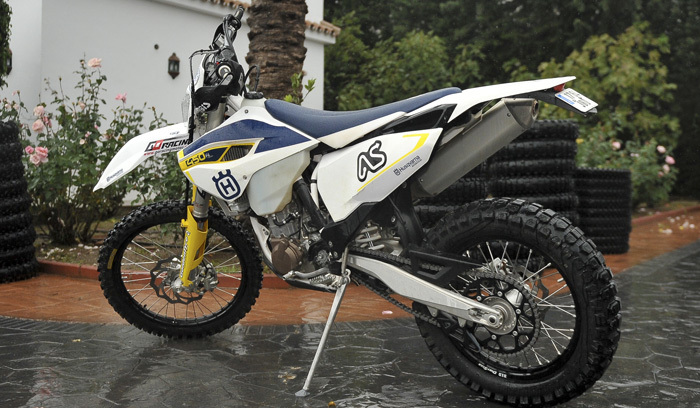 The enduro models are immediately identifiable by their blue and yellow paint work on the track and the manufacturer has a wide-range of models for the public too. As mentioned, Husqvarna’s history is complicated after a takeover by Cagiva and a subsequent amalgamation with Husaberg in 2013. The Husqvarna name first began building motorbikes in 1903 in Sweden. In subsequent years it developed a range of race bikes and competed in Grand Prix road racing. It was in the 1960s that Husqvarna moved to off-road models and it hasn’t looked back since, tasting consistent success in motorcross. It’s still one of the most famous names in off-road riding and enduro models. KTM is an Austrian manufacturer and one whose origins stretch back to the 1930s, however most people consider it as something of a new boy, particularly in the UK. Producing off-road, racing and street bikes, KTM has a wide model line-up however it’s the Duke series which stands out in the range. It’s a brilliant model that thrust KTM into the limelight thanks to its rugged and robust appearance plus its unflinching performance. The manufacturer was one of the bestselling manufacturers in September and that’s been the case for much of the year-to-date with it consistently creeping into the top ten bestsellers list. Moto Guzzi is another Italian manufacturer and another owned by the Piaggio Group. Despite not featuring in the bestselling manufacturers – and the fact that it’s unlikely to in the near future – that’s because the brand is a high-end one. Quality not quantity is the best way to describe its product line-up and production output and that can be seen in its celebrity endorsements which includes Ewan McGregor. Moto Guzzi claims to be the oldest motorbike manufacturer in the world having built bikes continuously since it was established in 1921.